English Heritage has joined forces with CBeebies star Maddie Moate to introduce a new generation of would-be-historians to the wonders of Hadrian’s Wall. In celebration of the first anniversary of new museums at Birdoswald Roman Fort and Corbridge Roman Town, the conservation charity is launching a series of audio episodes designed to encourage families to explore Hadrian’s Wall. Presenter Maddie Moate joined the teams at English Heritage’s sites along Hadrian’s Wall to record twelve episodes of ‘Discover the Wall’. 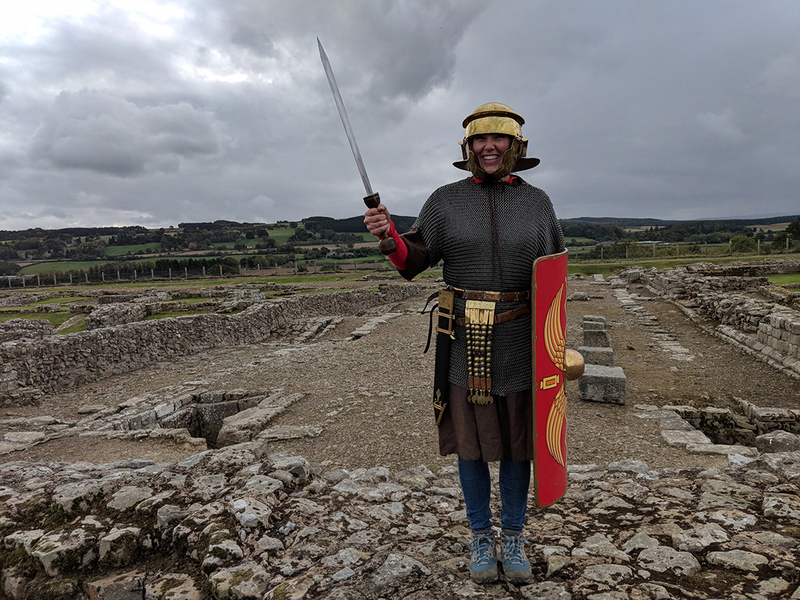 Listeners can join Maddie as she marvels at the sheer scale of the wall on a visit to Housesteads Roman Fort, uncovers the secrets of Roman cooking at Birdoswald, explores the world-famous Corbridge Hoard, and discovers the story of the Victorian antiquarian who saved Hadrian’s Wall at Chesters Roman Fort. 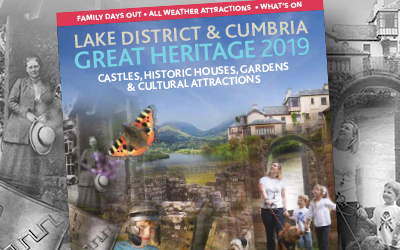 Lynn Rylance, Head of Historic Properties (North) at English Heritage said, “Hadrian’s Wall is a magical place to visit with families, and our museums at both Corbridge and Birdoswald mean that there is now even more to do, see and explore. Our new audio series with Maddie Moate is designed to inspire even the youngest visitor- her enthusiasm and interest in Hadrian’s Wall is infectious and I hope will encourage families to come along explore these amazing places. In 2018 English Heritage, the charity which manages six sites along Hadrian’s Wall reopened new museums at Corbridge Roman Town and Birdoswald Roman Fort. The new museum at Birdoswald is the flagship family friendly site in the north and to date has welcomed 38k visitors. The revamped museum has a periscope to look out on the fort, a series of bricks and pulley’s to build the wall as well as engaging and fun graphics to tell the story of the Roman frontier. Hadrian’s Wall is a UNESCO World Heritage site and was recently awarded Countyfile’s Landmark of the Year.